Understandably, I wanted this book to be good. Far be it from me to wish to push crap on SFF readers, after all. 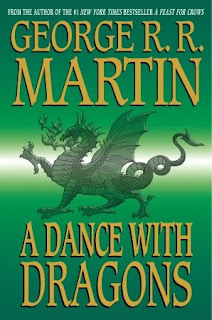 Well, I'm pleased to report that this dark and gritty fantasy stand-alone in the tradition of George R. R. Martin's A Song of Ice and Fire is likely Paul Kearney's best work to date. The Assurian Empire has ruled over the world of Kuf for centuries. Yet there is dissension at its core, and the new king's brother hires ten thousand elite mercenaries of a violent race knowns as the Macht to overthrow the reigning monarch. This superb fighting force sets sails for a foreign empire, and begins to march toward the capital city. And when their patron dies on the battlefield, the Ten Thousand suddenly find themselves abandoned on enemy soil. Surrounded by imperial armies on all sides, they must fight their way back to the sea and their homeland beyond. Paul Kearney is known for his brevity, and The Ten Thousand is a stand-alone offering. Which means the worldbuilding is minimal and doesn't get in the way of the storytelling. 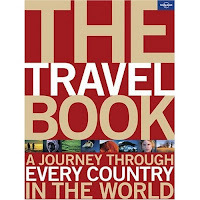 There are no info dumps in this book, and the author provides just enough information to take the story further. Still, even in the absence of long elaborations, it's evident that there is much more depth to The Ten Thousand than meets the eye. Although he writes with tight focus, the narrative and the glossary show that Kearney created a detailed universe. The Ten Thousand is a character-driven tale which showcases a number of POV characters on both sides of the conflict. Of the principal protagonists, I found Jason, Vorus, Rictus and Tiryn to be particularly well-executed. No cookie-cutter characters in this one, just a bleak story filled with genuine men and women. One would think that the plot, given the book's nature, would be rather straightforward. To my surprise, it wasn't the case. Yes, there is enough violence to satisfy any action aficionados. And yes, there is a body count that even GRRM would approve of. Yet some of the characters show a depth and moral complexity which elevate The Ten Thousand above most of its peers. Jason and Rictus, especially, made this novel an excellent reading experience. Good pace, grim setting, superior characterization, bloody battles -- The Ten Thousand is Paul Kearney writing at the top of his game. 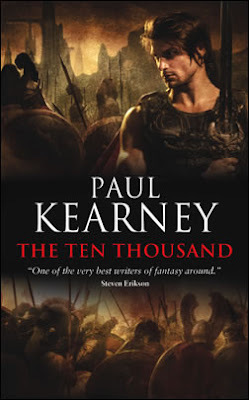 The Ten Thousand is a brutal and uncompromising tale of warfare and survival written by one of the most underrated talents in the fantasy genre. Highly recommended. 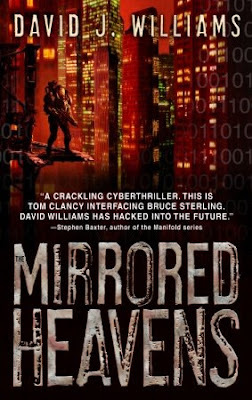 With David J. Williams' The Mirrored Heavens being a strong candidate for my "Unexpected Surprise of the Year" Award, I had no choice but to invite the author to introduce himself. For more info about this title: Canada, USA, Europe. - Without giving anything away, can you give us a taste of the story that is THE MIRRORED HEAVENS? The year's 2110; Earth, Moon and Internet (aka "the zone") are divided between two spacefaring superpowers, the U.S. and the Eurasian Coalition. For decades they've been locked in a second cold war—but as the book opens, an uneasy détente is underway . . . until the Phoenix Space Elevator (the joint construction of the superpowers) gets nuked by the mysterious terrorist group Autumn Rain. The hunt's on to find/stop the Rain before they can strike again; we focus on a number of secret agents who get caught up in that search, and in particular on Jason Marlowe and Claire Haskell. The two of them used to be lovers, but they discover fairly early in the book that their spymasters may be messing with their memories for reasons of their own. Things go downhill from there . . .
- Tell us a little more about yourself. What's the 411 on David J. Williams? Born in the UK, now I live in Washington, D.C. I was a management consultant for a decade, and I also was co-writer on Vancouver, BC-based Relic Entertainment's Homeworld video game franchise. I decided I wanted more of the latter and less of the former in my life, but I was sick of creating by committee, so I started in on novels. I started the Autumn Rain project in the fall of 2000. Several months later I started writing prose instead of jotting down notes, and several months after that I realized just how much my writing sucked. So I did the proverbial million words (or near enough), and emerged with a finished manuscript which sold within a year of its completion to Bantam, along with outlines for the sequels. - What can readers expect from the upcoming sequels? Mayhem like they've never seen it. - What's the progress report on the next volume? Any tentative release date yet? - What was the spark that generated the idea which drove you to write THE MIRRORED HEAVENS and the rest of the series in the first place? The U.S. military is acutely aware that the center of gravity of warfare is shifting into space. I got to thinking what this might look like several decades from now, and the world fell into place around that. Particularly if one postulates a new Eastern superpower rising to prominence at the same time as space-based weaponry reaches maturity . . .
- Were there any perceived conventions of the science fiction genre which you wanted to twist or break when you set out to write THE MIRRORED HEAVENS and its sequels? It's absolutely critical, because for years I dreamt of having anyone beside myself give two shits about any of this. The website (http://www.autumnrain2110.com/) was my way of taking all the notes and background material that I'd written and organizing it so that fans can see the background behind the two superpowers, the military hardware they've got, and the attack unleashed by Autumn Rain. There's some cool art up there too. Right now it's Morgan, Mieville, Gibson, Stross and Watts. But yeah, to your point: most of what I read is non-fiction, specifically history. If you're just reading the latest genre material, you're not staying ahead of the competition. - Cover art has become a very hot topic of late. What are your thoughts pertaining to that facet of a novel, and what do you think of the cover that graces THE MIRRORED HEAVENS? I've set up Google search parameters to alert me whenever my (incredibly generic) name gets mentioned anywhere, so it's not that much of a distraction. In the meantime, I'm working on having all other David J. Williams out there hunted down and destroyed in order to make my branding efforts easier. - Do you have any desire to write outside of the SF genre? 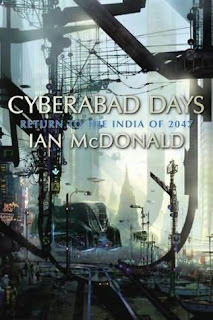 - With authors such as Alastair Reynolds, Peter F. Hamilton, Iain M. Banks, Richard Morgan and Neal Asher, British SF seems to be flourishing at the moment compared to a general downturn in the genre, particularly in the United States. Why do you think this may be? I think there's a lot of awesome U.S. writers out there, but I'll take the bait and go on record as saying that contemporary Britain has fewer illusions about itself than the U.S. does, and that this translates into a harder-edged type of SF. Specifically, Britain has come to terms with its (now long-gone) empire in a way that the U.S. has yet to do, and it's tough to write about the future unless you understand what's going on in the present. It absolutely will, but the English professors and lit-crit theorists and Booker Prize snobs will be the last to #$# realize it. Just when we thought that things couldn't get more complicated in the NFC East, the Skins came to Texas Stadium and humbled the Cowboys. Now, as a Dallas fan, that pisses me off. But as a football fan, that means that this is going to be a heck of a season! The New York Giants are on top at 3-0, followed by the Dallas Cowboys and the Washington Redskins at 3-1, and the Philadelphia Eagles are not far behind at 2-2. This is going to be quite a division! It was the Giants' bye week, but Brett Favre threw 6 TD passes! Man, if the NYC teams continue to play like this, GRRM will never finish A Dance with Dragons! And for some reason, it appears the the Redskins have the Cowboys' number. . . Dallas came close at the end, but the truth is that Washington played a very good game and deserved the victory. This one has had Yours Truly cranking up the volume and driving fast for the last few weeks! It's "Let it Rock" by Kevin Rudolf ft. Lil' Wayne. Our three winners will get their hands on a copy of Brandon Sanderson's The Hero of Ages, compliments of the cool folks at Tor Books. For more info about this title: Canada, USA, Europe. Well, as was expected, 62% of the 308 voters have no intention of reading Stephenie Meyer's The Host and Christopher Paolini's Brisingr because they are YA novels. The results could have been much different had the poll been posted elsewhere, but it was no big surprise given the readership I have here. . . This new survey lets you decide what I'll be reading next. Now that I'm done with the excellent The Ten Thousand by Paul Kearney (Canada, USA, Europe) and I'm into Jack Vance's Tales of the Dying Earth (Canada, USA, Europe), you get to choose what comes next. Similar polls last spring turned out to be a lot of fun, so here we go again! Peter F. Hamilton contest winners! 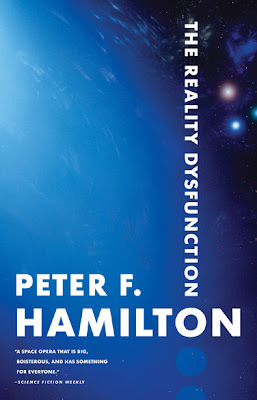 Thanks to the generosity of the folks at Orbit, our winners will each get a complimentary copy of Peter F. Hamilton's The Reality Dysfunction. For more info about this title: Canada, USA, Europe. Neal Stephenson's Anathem debuts at number 1. For more info about this title: Canada, USA, Europe. Stephenie Meyer's The Host maintains its position at number 6. For more info about this title: Canada, USA, Europe. Terry Brooks' The Gypsy Morph is down three positions, ending its third week on the charts at number 10. For more info about this title: Canada, USA, Europe. Sean Williams' The Force Unleashed is down two spots, finishing its fourth week on the NYT list at number 14. For more info about this title: Canada, USA, Europe. S. M. Stirling's The Scourge of God maintains its position at number 19. This marks the novel's second week on the bestseller list. Sherrilyn Kenyon's Archeron is down sixteen spots, finishing its sixth week on the prestigious list at number 33. Charlaine Harris' Dead until Dark is up seventeen positions, ending its second week on the charts at number 8. Charlaine Harris' Living Dead in Dallas debuts at number 17. Michael Chabon's The Yiddish Policemen's Union is down on spot, finishing the week at number 30. For more info about this title: Canada, USA, Europe. Shawn Speakman videotaped Erikson during this recent event at the University Bookstore. You'll find 8 different videos on which you can watch a reading of excerpts from Toll the Hounds (Canada, USA, Europe), two poems from Dust of Dreams, and a Q&A session with fans. Adrian Tchaikovsky, author of Empire in Black and Gold (Canada, USA, Europe) is our guest columnist this time around. His fantasy debut is garnering quite a few positive reviews, and I'm hoping that I'll get the opportunity to read it later this fall. To learn more about the author and his work, check out http://www.shadowsoftheapt.com/, where you'll also find Tchaikovsky's blog. This is something of a nervous venture, being FNG(1) in the genre. It's slightly odd being handed someone else's soapbox and asked to rant about something. To get the auto-trumpetry over with: Empire in Black and Gold, book 1 of Shadows of the Apt, the brand spanking new trilogy (2), further and better particulars see http://www.shadowsoftheapt.com/ with my blessings. Share and enjoy. So: pontification on fantasy fiction no. 43. Fantasy, as a genre, comes in for more than its fair share of hammering from people who believe in "literature". I could go on about the origins of narrative fiction (3), or about the artificiality of genre divisions (4) and I have done, at length. Most of the criticism comes from people who seem to feel rather threatened that grown up people are still writing about dragons and elves. It offends them. Many of them are so sensitive about it that the aforementioned elves and dragons can offend them despite the fact that they've never so much as picked up a fantasy novel since they read half of Lord of the Rings when they were thirteen (5). Other criticisms single out features of the genre to slate without ever actually saying why they're a bad thing: "oh there are always loads of books in the series," "oh they're always so long." And with the latter criticism they neatly damn Tolstoy and Victor Hugo, to name but two. Some of the criticisms cut a little deeper, though. There is a fair case to be made that a proportion of this generation's fantasy is basically last generation's elves and dragons, reheated and served tepid. The same dark lords, cheeky rogues, reluctantly-destined warriors and wise old wizards are resurrected again and again to strut and fret their hour upon the stage, and then do exactly the same in the sequel (6) This, then, is pole A of fantasy. Pole B is where the fiction is so speculative that the read is really very hard work indeed. Note, this is not a negative criticism, per se. The writers mining at that cliff face are generally the very best, the most skilled and daring. The difficulty can be that it's hard to clear those kinds of heights from a standing start. Exempla Gratia: probably my all-time favourite author is Gene Wolfe, whose Book of the New Sun is an awe-inspiring classic. I first read The Shadow of the Torturer at age sixteen and gave up on it because very little of it made sense to me (9). It was far too long before I ventured back to Urth, and found out what I had been missing. Between these poles there is, well, the whole genre, from the gravity-well of the Tolkienarium all the way up to the rarified heights of absurdity, and most people from outside the genre who lay into fantasy do so because rehashed Tolkien-lite is all they see. Sitting there with Mervyn Peake in one hand and Gene Wolfe in the other, though, it's easy to miss the main point of why those books, however rarified, are enjoyable. At their core, they're down to earth, close to home, dealing with issues that mean something to the reader, presenting characters that connect, and working with age-old themes and plots. Because, in-genre snobbery aside, there's actually nothing wrong with dragons. Or wizards. (10) Or (and this admission is drawn from me with a winch using glass-coated wire) elves, in and of themselves. Even cheeky rogues are not deserving of being consigned to the pits on first principles. It's what you do with it that counts. Fantasy from either end of the spectrum will deal with the same human absolutes, because that's what all human writing deals with. I'm not an exponent of the "there are only (insert number here) plots in the world" theory, because to get down to the kind of number they insert you have to reduce the plots to the ridiculous (11), but still: love, war, death, vengeance, loss, family, growing up, horror and wonder, these are the things that fiction is made of. A plot that touched on nothing common to human experience would find few readers. The execution is what makes the difference between dream and dross. Speculative fiction is fiction sans frontières, and this means that you can go as far as you like from the standard clichés, and it's good, or you can take a staple fantasy ingredient, and step sideways into a parallel dimension, and it can also be good. It's all a matter of finding ground untrodden, seeing where the maps end and going ten miles beyond the borders (13). (1) For those not aware of the delightful acronym, the last two letters stand for New Guy. (2) Trilogy with its modern meaning of "a series of more than three books, and probably at least nine"
(4) Magical realism anyone? The sub-genre that is basically po-faced fantasy dressed in a suit. See above link. (5) It's a bit like peanut allergies. "May contain elves" or "was produced at a printers where books about elves are also made". (7) At the height of the splurge of anthropomorphic animal fantasy stories, this was recoined with "rabbits" instead of "robots". (8) Although frankly anything that involves inserting hobbits anywhere is probably not the best idea. (9) Also, a friend had been passing the whole torturer thing off as his own idea in a gaming campaign at the time, and my outrage at the plagiarism inexplicably contaminated the book. (10) Or, dare I say, empires? (11) There is only one plot in the world. It's the one where that guy/girl does that thing. John Hodgman sends it all up nicely in Areas of My Expertise in which he states that all known plots boil down to either man vs. man, man vs. society, man vs. nature, man vs. himself or man vs. cyborgs. (12) This is not intended to be libellous in any way. Just a special note to Mr Lynch's lawyers. (13) And if the maps say "here be dragons", at least have the grace to discover a new breed of them. This sample chapter has been up for three weeks already, but strangely enough no Tad Williams fan has seen fit to mention it on any message board. . . It's an excerpt from the first chapter of Shadowrise, and it features a Barrick POV. You can read it here. Shadowrise is one of my most eagerly anticipated SFF novels of 2009, so here's to hoping that Tad will get it done on time! 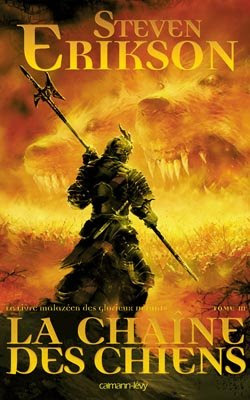 If I'm not mistaken, it's the cover for the second volume of the French edition of Erikson's Deadhouse Gates, aptly titled The Chain of Dogs. Ah, it makes me long for Dust of Dreams. . . This book piqued my curiosity when I was told that it was similar in style to Scott Lynch's The Lies of Locke Lamora. And yet, though Brent Weeks' fantasy debut does bear some resemblance with Lynch's, The Way of Shadows has a lot more in common with R. A. Salvatore's Drizzt novels. Indeed, it is very similar in style and tone to Salvatore's The Legacy, Starless Night, and Siege of Darkness. I reckon it's meant to be another dark and gritty fantasy epic, but it clearly doesn't fall into GRRM's "school of hard knocks" category. Although The Way of Shadows explores some very mature themes such as child and sexual abuse, the overall tone of the narrative is definitely YA. The resulting work makes for an uneven read, as the author tackles themes you'll never see in a YA work, yet the narrative appears to be aimed at a more adolescent readership. I have a feeling that Weeks might have been too ambitious to a certain extent, and thus he failed to deliver the emotional impact that would have made some scenes truly powerful. Azoth is a street urchin whose life is a daily lesson in survival. When things come to a head within his guild, he is willing to put everything on the line in an attempt to become Durzo Blint's, the city's most renowned assassin, apprentice. As he undergoes the training that will make him a wetboy, he must turn his back on his old life. Soon, Azoth realizes that there is a lot more to him than he ever thought possible. 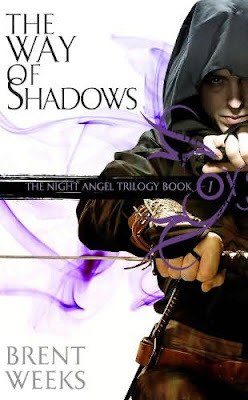 I must admit that at first I was afraid that The Way of Shadows would be a ripoff of Robin Hobb's Assassin's Apprentice. But I was proven wrong early on, and Weeks' debut is an original tale. Truth be told, I enjoyed it quite a bit at the beginning, though things take a turn for the worst around the middle portion of the book. In true Salvatoresque fashion, the main protagonists become über-powerful and too badass for their own good. The politicking also becomes clumsy and loses its credibility. Which, in the end, put a damper on my initial excitement. Azoth and Durzo Blint will no doubt remind you of Salvatore's Artemis Entreri, Jarlaxe, and Drizzt. Entertaining characters, no doubt, but relatively clichéd. Some of the supporting cast seemed to possess more depth at first, yet as the story progresses you realize that it wasn't meant to be. And, though there are plenty of mature themes and graphic violence throughout this novel, the dialogues are a bit juvenile at times and not up to par in terms of grittiness. Again, the more YA tone of it all I mentioned -- not unlike R. A. Salvatore's works. You can see that Brent Weeks has created an interesting universe for The Night Angel trilogy. Unfortunately, The Way of Shadows only shows us a few glimpses of his creation, and it's difficult to measure how good the worldbuilding truly is. On thing's for certain: Weeks set the stage for a lot more to come. In my opinion, the author may have tried to do too much in this one. Too many different storylines converge at the end, which takes a lot away from the realism of the start of the book. For all of its shortcomings, I went through The Way of Shadows quite rapidly. The pace is crisp, and Brent Weeks knows how to tell a compelling story. The novel will likely never be nominated for a World Fantasy Award or a Hugo Award. Still, it can stand tall as an entertaining fantasy "lite" tale, if that's what you are looking for. Brent Weeks' The Way of Shadows has all the qualities that made R. A. Salvatore famous: Action, intrigue, clichéd but endearing characters, and more. À la Naomi Novik, Orbit is releasing all three volumes of the trilogy in the span of three months. And I have a feeling that Brent Weeks could enjoy the same sort of commercial success that Gail Z. Martin savored in 2007. 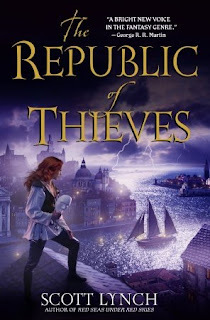 Similarly to Karen Miller's books, this series will probably get savaged on various message boards and by a few critics. 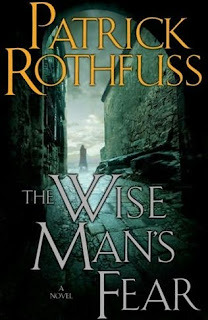 Nevertheless, as R. A. Salvatore makes regular appearances on the NYT bestseller list, I believe that The Way of Shadows and its sequels, Shadows' Edge (Canada, USA, Europe) and Beyond the Shadows (Canada, USA, Europe), will sell extremely well, regardless of the fact that it will likely not be held in high esteem by the SFF fandom's "in crowd." Always remember that you are a human being as well as a teacher, that your students are also human beings, and that you are here because you have something important to give them that they need. Damn, the hated Giants found a way to win their game in overtime to remain undefeated. Fortunately, the Cowboys rose up to the challenge and beat the Packers. With wins against both the Eagles and the Packers, Dallas has proven that they are the team to beat in the NFC. But things are extremely competitive in the NFC East Division, with both the Cowboys and the Giants at 3-0, and both the Eagles and the Redskins at 2-1. Bring on the Washington Redskins next week! Des instructions en Français suivront. . . 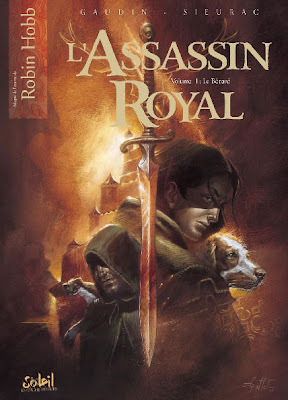 I have five copies of the French graphic adaptation of Robin Hobb's The Farseer, L'Assassin Royal: Le Bâtard, written by Jean-Charles Gaudin and illustrated by Laurent Sieurac, up for grabs, courtesy of the folks at Soleil. The rules are the same as usual. You need to send an email at reviews@(no-spam)gryphonwood.net with the header "HOBB." Remember to remove the "no spam" thingy. J'ai cinq copies de l'adaptation en bande dessinée de L'Assassin Royal de Robin Hobb à vous faire gagner, courtoisie de l'équipe de Soleil! Une réalisation de Jean-Charles Gaudin et Laurent Sieurac, vous avez maintenant la chance de mettre la main sur le premier volume de la série, L'Assassin Royal: Le Bâtard. Pour ce faire, vous devez me faire parvenir un email à l'adresse suivante: reviews@(no-spam)gryphonwood.net, en prenant soin de ne pas inclure la parenthèse "no spam." Celui-ci doit contenir votre nom et adresse postale complète, et le titre devra être "HOBB." Attention: Seul les résidents de France, de Belgique, et de la Suisse peuvent participer à ce concours. Toute personne envoyant des inscriptions multiples se verra disqualifiée. Veuillez aussi inclure le nom du forum de discution que vous fréquentez ainsi que votre nick s'il y a lieu. 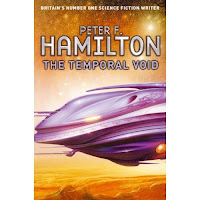 Thanks to the kind folks at Pan MacMillan, our winner will get his hands on an autographed copy of Peter F. Hamilton'slatest novel, The Temporal Void. For more info about this title: Canada, USA, Europe. Beautiful Art Nouveau architecture, some of the most beautiful women in the world, cheap beer, affordable food, cool nightlife, plenty of see and do -- Riga is one of those cities that has it all! And Latvia has more to offer! Definitely a country I'll be revisiting, hopefully in the near future! You can peruse the album by clicking on this link. Given the divergence in their styles and the scope of their respective series, and given the fact that Jordan only wrote about 50,000 words before passing away, do you believe that Brandon Sanderson can make A MEMORY OF LIGHT as good as it should be? 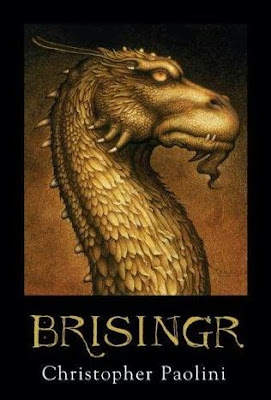 Our new survey asks you if you'll read or have read what should be the two bestselling SFF titles of 2008: Stephenie Meyer's The Host (Canada, USA, Europe) and Christopher Paolini's Brisingr (Canada, USA, Europe). Stephenie Meyer's The Host is down one posititon, ending the week at number 6. For more info about this title: Canada, USA, Europe. Terry Brooks' The Gypsy Morph is down five spots, finishing its second week on the charts at number 7. For more info about this title: Canada, USA, Europe. Sean Williams' Star Wars: The Force Unleashed in down three positions, ending its third week on the bestseller list at number 12. For more info about this title: Canada, USA, Europe. Sherrilyn Kenyon's Archeron is down six spots, finishing its fifth week on the NYT list at number 17. For more info about this title: Canada, USA, Europe. S. M. Stirling's The Scourge of God debuts at number 19. Charlaine Harris' Dead until Dark debuts at number 25. Michael Chabon's The Yiddish Policemen's Union is up three positions, ending the week at number 29. Patricia Briggs' Cry Wolf is down thirteen spots, finishing its sixth week on the prestigious list at number 31. Our five winners will receive a set of Stephen Hunt's The Court of the Air (Canada, USA, Europe) and The Kingdom Beyond the Waves (Canada, USA, Europe), compliments of the folks at Voyager. This piece by Gregory Frost came to my attention when I read Tobias S. Buckell's post on the subject. Buckell's bit also contains a link to another related piece by Pat Cadigan. I feel that this might interest many readers who are not necessarily familiar with the bookselling industry and often wonder why their bookstore don't stock a particular title. The reason Borders decided not to carry the new book is that, according to them, its predecessor didn't sell “as well as anticipated.” It sold; it just didn't sell enough for Borders. What's enough? I have absolutely no idea. Nobody else seems to, either. Click on the links above to read the whole story. . . Okay, so the 'boys gave us quite a scare on Monday night. But man was that an exciting game to watch! Seven lead changes, and more offense than any fan could ever hope for. Okay, so there were some stupid mistakes, but in the end we won and the game turned out to be one of the most exciting football matches in recent memory. But the damned Giants beat the lowly Rams on Sunday, so GRRM and I are still locked in a stalemate. We'll have to wait and see what happens next weekend. . .
Terry Brooks' The Gypsy Morph debuts at number 2. For more in fo about this title: Canada, USA, Europe. Stephenie Meyer's The Host maintains its position at number 5. For more info about this title: Canada, USA, Europe. Sean Williams' Star Wars: The Force Unleashed is down eight positions, ending its second week on the charts at number 9. For more info about this title: Canada, USA, Europe. 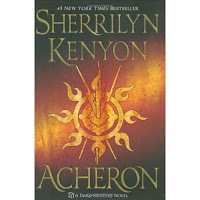 Sherrilyn Kenyon's Archeron is down five spots, finishing its fourth week on the NYT list at number 11. For more info about this title: Canada, USA, Europe. Karen Traviss' Star Wars: The Clone Wars is down seven positions, ending its fifth week on the bestseller list at number 34. For more info about this title: Canada, USA, Europe. Patricia Briggs' Cry Wolf is down nine spots, finishing its fifth week on the prestigious list at number 18. Michael Reaves' Star Wars: Street of Shadows debuts at number 21. For more info about this title: Canada, USA, Europe. Michael Chabon's The Yiddish Policemen's Union is down nine positions, ending the week at number 32. For more info about this title: Canada, USA, Europe. The North American editions of all three volumes of Peter F. Hamilton's The Night's Dawn trilogy were all split into two installments when they were initially released. Finally, Orbit is re-issuing each volume as one single trade paperback edition, beginning with The Reality Dysfunction. This series put Hamilton on the map and led him to become the bestselling science fiction author in the UK. For more info about this title: Canada, USA, Europe. The rules are the same as usual. You need to send an email at reviews@(no-spam)gryphonwood.net with the header "REALITY." Remember to remove the "no spam" thingy. Hmmm, I guess I've just been caught sleeping on the job. So if you wish to learn a bit more about this latest Rainwilds novel, click on this link to read the sixth and seventh drafts of the prologue. Upon my return from Eastern Europe I let you guys know that I was toying with a number of ideas concerning new features on the Hotlist. Well, since so many of you have been asking for guest bloggers for months, I finally decided to test those waters. I had this idea for an ad lib sort of thing, where people from the publishing industry (authors, editors, agents, publicity and marketing people) would get the opportunity to write or rant about anything SFF-related. I sent out some invites, and we now wait to see what's going to happen. Those of you on mailing list who didn't receive the invitation should check out their spam folder. Or get in touch with me via your publicist or the giveaway email address if you don't have my contact details. Anyone interested in submitting an idea for this new feature can do so. The very first person to respond was author Tobias S. Buckell, author of Crystal Rain, Ragamuffin, and the just released Sly Mongoose (Canada, USA, Europe). Since he will be writing the forthcoming Halo: The Cole Protocol, we thought it would be a good idea to have him offer his two cents regarding the debate on the quality of tie-in fiction vs "regular" SFF novels. To get a better idea of what this dispute is all about, peruse this thread on Westeros. As for future columns, Patrick Rothfuss and a number of other people have accepted to contribute. So it's safe to say that you'll be seeing this new feature appearing from time to time. We'll have to wait and see how this thing evolves. . . There is something of a debate about the quality of tie-in fiction vs 'regular' SFF novels. Frankly I find the debate to be as useful as debating the merits of hardcovers versus paperback novels. It's just paper, a package, what matters is what lies beneath. In high school I read a book a day, if not more. I was completely indiscriminate in my taste. I'd try anything, and as long as it held my interest I considered it a success. I cut my teeth on original SFF novels, but I went through period where I made my way through all the Star Trek: TNG novels that were out. At the time my family was watching the series on videotape: it was recorded by relatives who sent them down to us because we lived on a boat and had no cable. The novels were a nice way of continuing to experience the show until the next batch of tapes came in. Over all I preferred original SFF just because the authors could really just head out and do whatever the heck they wanted in this universe they were building, but unless you were picking up a book by a favorite writer who had a similar 'feel' from book to book, you never knew for sure what you were going to get. And most of the time that was just fine. But somedays, after a hard day at school, or when I was beat down tired after a day windsurfing, I just wanted to immerse myself in a familiar world for a couple hours. Tie-in books, continuing series detective novels, and the like, all let me do that. Between a brief stint doing some reviewing, being on some publisher's lists to send books due to the popularity of my blog, and due to being a judge for an award this year, before July 1st I had a mountain of books on my spare desk. It was interesting, because I realized how much stuff that was original didn't really do much for me, let alone tie-in stuff. We're seeing Chris Roberson, Karen Traviss, Jeff VanderMeer and many other talented writers play with other universes for fun and profit. I think there is plenty of fun stuff to be found in tie-in fiction. I also think its a funny argument, because many of the arguments made about tie-in fiction are the same arguments pointed at SF/F by mainstream/literary writers. The author can be found at http://www.tobiasbuckell.com/, where you'll find his blog as well as a ton of information on the man and his work. Our three winners will each get a complimentary copy of Peter F. Hamilton's Misspent Youth (Canada, USA, Europe), courtesy of the nice folks at Del Rey. As an unofficial ambassador, over the course of the next weeks/months I'll be posting info regarding accomodation, restaurants, bars and clubs, things to see and do, yada yada yada, in the Montreal area. While I can't do anything about whether or not you'll have a good time at the convention, I want to make sure that you guys have a blast while on my turf. I want you to go back home and tell everyone that MTL rocks! Just want to make it clear that I'm not part of the committee which is the driving force behind Anticipation 2009, nor am I associated with them in any shape or form. I just want to give visitors options and let them know where to go to have fun. As a big traveler myself, I am aware that sometimes that's what makes the difference between a good and a bad traveling experience. I did request that the committee sends me future media releases, however. That way I can keep you guys posted about what's happening. Add to that Steven Erikson's Dust of Dreams, Joe Abercrombie's Best Served Cold, Robin Hobb's Dragon Keeper, and L. E. Modesitt, jr.'s first volume in a new fantasy series, Imager (Canada, USA, Europe). Brian Ruckley's final volume in The Godless World trilogy should also see the light, and the same can be said of Tad Williams' Shadowrise. 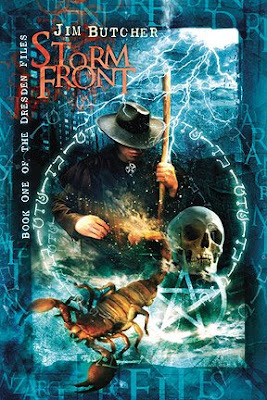 I have a copy of the limited edition of Jim Butcher's first Dresden Files novel, Storm Front, up for grabs, compliments of the nice folks at Subterranean Press. 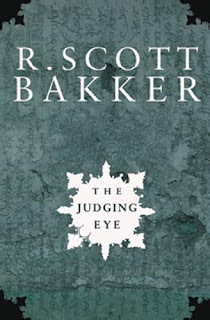 For more info about this title: Canada, USA, Europe and http://www.subterraneanpress.com/. The rules are the same as usual. You need to send an email at reviews@(no-spam)gryphonwood.net with the header "STORM." Remember to remove the "no spam" thingy. About those ads. . .